As a photographer, I practically live for these opportunities: historic mansions opening up their doors and gardens for the general public to nose around for the day. There's an annual fundraising event in northern New Jersey presented by the Women's Association for Morristown Medical Center called "Mansion in May." Each year, a different historic mansion in the area is selected as a showhouse for local designers and garden experts. Basically, they clear out whatever is inside and reimagine all of the rooms, taking them to a style I can only describe as "modern-day posh." This year's Mansion in May was (and still is, for a few more days) Alnwick Hall (pronounced "ann-ick"), also called the Abbey, located in Morristown, New Jersey. Built between 1903 and 1904, it was the private residence of Edward Peter Meany, who became a millionaire during the late 1800's as a general counsel for the emerging telephone industry. His home is a well-preserved example of "Morristown's Golden Age." Okay, history lesson aside, let me be honest with you: I wasn't there for the designer showhouse. While the rooms were all gorgeously dressed to the nines, I secretly wished they had just left the mansion as it was "back in the day." (I think this is what happens when you read too many novels by Edith Wharton and Henry James!) It was a little jarring to walk into this turn-of-the-century home and see a state-of-the-art foosball table and megasize flat-screen TV. But, that's just me. The place was overflowing with ooh-ing and ahh-ing designers and shoppers (there were boutiques set up on-site) who were obviously loving the mansion all dressed up for this festive May party. Although I enjoyed looking up at the original ornate ceilings and stained glass windows, I couldn't wait to be done with the house tour so I could get outside to the gardens with my camera. Let's face it, friends: I'm just a nature hippy, and flowers are much more my style! Happy long holiday weekend to my stateside friends, and happy regular-sized weekend to my friends abroad! Oh my goodness, dear friends, I've been in such a whirling head-space these past few months. I've been heavily tinkering with my entire "creative toolbox", trying to streamline all of the new things I want to put "out there" in the world. Quite frankly, all of the growing pains have made me less than joyful! So it was at exactly the right moment when I received an email from Danielle Williams, a senior editor at Artful Blogging magazine, asking me if I'd be interested in writing an article for them. Artful Blogging has long been one of my "go-to" resources for creative inspiration. It's not just for bloggers; it's for anybody who enjoys beautiful photography and thoughtful reflections on the artistic process. It's more like a "coffee table book" and thankfully, it has zero advertising. It's so funny to think about the magazines I used to devour from my teens through my twenties. I'm not going to name names, but they all had to do with fashion and celebrity lifestyles--two topics I couldn't give a hoot about anymore. Now I love magazines that uplift and inspire me, ones that help me to be a more creative and mindful person. If that appeals to you, too, let me suggest all of the following magazines for your next trip to the bookstore: Artful Blogging (naturally! ); Bella Grace; (a sister publication of Artful Blogging); Flow; Happinez; and Breathe. Money well-spent, I assure you. Danielle was a dream to work with. She let me choose the topic I wanted to write about, and she and her staff chose twenty-seven (!) of my photographs for the six-page spread. It was one of the most satisfying days of my creative life to walk into Barnes & Noble yesterday and see the summer issue on the magazine rack, with one of my pictures right on the cover (the lower right shot of the sunny street). I hope you'll look for the summer issue of Artful Blogging at Barnes & Noble, or you can purchase it online here: Artful Blogging Summer 2017 Issue. Thank you, longtime readers and new subscribers. You keep me going, and I'm deeply grateful for your visits here. Come say hello to me on Instagram by clicking here. BIG NEWS (with an exclusive offer) in the next issue of my monthly photography letter, Writing with Light. It's free, no spam ever, and you can unsubscribe whenever! In the "crazily creative" department: Edible water bubbles to replace plastic water bottles?! Happy Passover, Happy Easter, Happy Weekend to you! Do sign up for "Writing with Light", my free monthly-ish letter that's all about my favorite photography tricks, creative inspirations, and upcoming photography courses (with exclusive discounts)! No spam ever, and you can unsubscribe whenever! If you've been reading this blog for a while now, you might recall that I am not naturally good at relaxing. It takes a concerted effort for me to unwind, and it takes me a good two days into any vacation for me to ease into true Vacation Mode. From what I've seen among my artist friends with their own creative businesses, this is not uncommon. When you create for a living, it's not easy to just turn off the ideas like a faucet. Nor do I really want to turn off the ideas--which is why it's helped me enormously to keep a sketchpad and pencil ready to go at any given moment (including the middle of the night, fresh out of a dream, when I often get my freakiest most creative ideas). Even now as I type this, my mind is whirling with new things I'd like to create today. But my latest big creation, my new e-course called Soul Focus: Finding Peace Through Photography, is officially starting this Monday (that's 1/30/17, for those of you who stumble upon this post way after the fact). I want to go into Soul Focus Mode, to slow down, to get quieter, to step away for a while. I'm dialing way down on the multitasking because I want to immerse myself in the mindfulness lessons with my students (otherwise, I'd feel more than a tad hypocritical). To be there, I can't be here. So, I'm signing off, with no new blog posts until after the course wraps up on February 12th. I hope you'll meet me back here when I get to the other side...and thank you so very much for your patience and your presence. P.S. I got a little note today from my friend Monica at Acorn Oak Forest that I'd like to share with you, just in case it resonates with you and your life right now: "So... I was in the process of writing you a message about how I couldn't do this course. No time. Blah blah blah... When I realized I need this now more than ever. Happy early birthday to me! I'm signing up!" If your life feels like it's crazier than ever, do join us here: Soul Focus: Finding Peace Through Photography. If you're on Instagram, get a $10 discount on the e-course by clicking the link in my profile here. I love fog. Clearly, I'm not alone. Instagram is rife with hashtags for foggy photos. #Sombrescapes has over 215,000 posts so far, but the plain and simple #fog is the hands-down winner with five million photos and climbing. Fog fans unite! As an introvert, I love the feeling of venturing out into the world but remaining relatively unseen. Walking through the fog is the opposite of standing in the spotlight. It's like the real-life equivalent of Harry Potter's Invisibility Cloak. Fog lets me slip into something more comfortable. On a foggy day, everything looks "painterly." That's a word my art history professors tossed around whenever they'd discuss a landscape painting that didn't look like a real view out a real window, but like a painting on an easel. Painterly landscapes were the opposite of photo realism; they were more poetic than literal. One of the worst times to go out with a camera for landscape shots is noon on a sunny, cloudless day. From a visual standpoint, it can teeter dangerously on the rim of "boring." But on a foggy day, there's a certain mystery in the air, a moodiness. Fog adds an instant filter to your pictures, no Hipstamatic necessary. Fog is film noir, not documentary. Fog heightens your senses. You can almost feel the weight of air. Fog whispers to us, "Slow down...look closer." My newest online photography course is right around the corner--starting 1/30/17! No fancy camera necessary--you can even use your smart phone. If you'd like to add more beauty and mindfulness to your days, all the details are here: Soul Focus: Finding Peace Through Photography. If you're on Instagram, get a $10 discount on the e-course by clicking the link in my profile here. May your New Year's Eve be the most joyful yet! My brand-new online photography course is right around the corner! Let's start off the new year together by creating more beauty, peace, and mindfulness in the world. 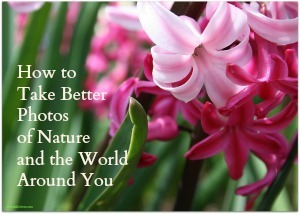 All the lovely details are here: Soul Focus: Finding Peace Through Photography. If you're on Instagram, get a $10 discount on the e-course by clicking the link in my profile here. P.S. I took the photo of this big, beautiful wreath last week while driving by McTeigue & McClelland in Great Barrington, Massachusetts. Isn't it the very picture of festive? Merry Christmas, Happy Hanukkah, and Wonderful Weekend Wishes to you! I got the best present yesterday. I was buying some bottles of wine for last-minute gifts and the cashier actually asked to see my I.D. (Internal squeal of glee!) I remember (decades ago) being miffed when the cashier asked to see my I.D. My goodness, how times change...! Thank you so very much for checking in with me this year. I hope the new year ahead brings you and your family XXL measures of peace, warmth, health, happiness, lightness, respect, mindfulness, kindness, and most of all: love. P.S. Join me for 14 gorgeous days of soul-soothing creativity this January! Enroll today (or gift a friend) for Soul Focus: Finding Peace Through Photography. (Spaces are limited.) Let's make 2017 beautiful, yes? It's been a really rough year to have a blog with "Joyfully" in its name, let me tell you! Among other less-than-pleasant events, 2016 began with the death of David Bowie, then trudged on with earthquakes, wars, and wildfires, and is wrapping up with the U.S. being the most polarized I've seen it within my lifetime, thanks to a very long and bitter election season. I'm not going to lie to you: There have been an awful lot of days this year when I've been in what I believe the mental health experts call "a funk." And yet...there are only so many days I can drown my sorrows in salted caramel (godsend that it is). Sooner or later, the "fixer" in me kicks in and I want to try to make things better in some way. As a creative person, I know that art often arises out of dark feelings and experiences. But for me, it's also important to keep sight of what is still true, still beautiful. Although I regularly take time to go outside and photograph nature, I found that I needed much more help as the year wore on to soothe my frazzled nerves. I needed more books for guidance. More art to lift my spirits. More music to calm my mind. More poetry that really spoke to me. More creative ways to express my feelings. Soul Focus: Finding Peace Through Photography is about giving yourself the gift of quiet, contemplative time each day to focus on what is good, what is true, and what is beautiful. It's about noticing more, appreciating more, savoring more. It's about entering a gentle, sacred space of creativity. It's about discovering what you can create with your camera (or your smart phone) when you embrace a more peaceful state of mind. I'm feeling lighter and more joyful already! How 'bout you? Six more days 'til it's over! I don't know about you but I'm doing everything I can to limit the crazed bombardment of news and avoid any discussion of "the E-word." My escapist plan includes binge-watching "The Tudors" on Netflix, re-reading Far from the Madding Crowd (I highly recommend escaping to another century altogether), listening to Twenty-One Pilots (such a fun band--how on earth was I unaware of them until their recent appearance on SNL?! ), and fiddling around with food that I picked up for a still life photography workshop at my house this past weekend. I don't even like radishes (to eat), but my goodness, these certainly are pretty, aren't they? No worries if a home photography workshop isn't in the cards for you. Enrollment is now OPEN for my newest online photography course, Beyond Auto Mode: How to Really Work Your DSLR Camera. Good news is that you still have a few more days to nab the $10 discount on the course, good through this Sunday, November 6th only (that's 2016 for those of you arriving at this post on the very late side!). If you'd like to finally learn how to use your "real" camera (as opposed to just pointing your phone at random things and hoping for the best), this is the course for you. All the details and the $10 discount can be found by clicking here. Hang in there, friends--I think I can see the light at the end of this looooooooooooooooooooong, dark tunnel!